Short Bytes: Within a short period of past 6 months, hacking groups have carried out more than 300 cyber-espionage attacks. While the title of the most active hacking group goes to Group 27, the government infrastructure is the favorite target of such groups. Cyber-espionage, or cyber spying, is the act of obtaining secrets from someone’s network without the permission of the owner. Specifically, the information obtained is personal, sensitive, or classified in nature. Over the past few weeks, we have observed numerous incidents of cyber-espionage that aimed at different governments and enterprises. Overall, in a short period of six months, the total number of cyber-espionage incidents have risen up to 300. The provider of this data, security firm SurfWatch Labs, has released the list of the groups that have managed to make the biggest headlines. 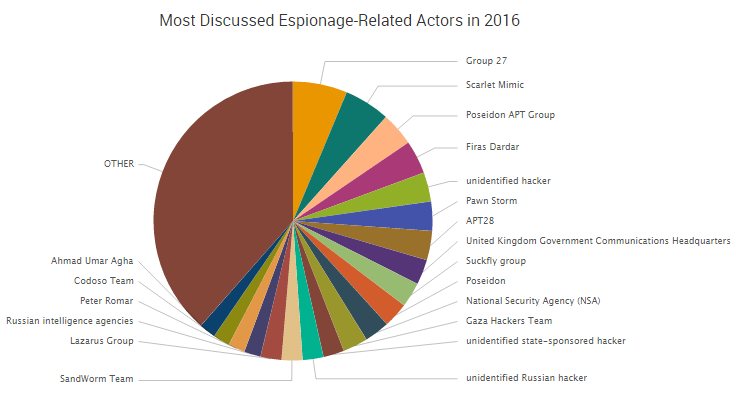 According to the firm, the most discussed hacking group of 2016 is Group 27, a China-based organization that carried out numerous attacks in the first quarter of 2016. The other groups that have managed to steal some portion of the limelight are Scarlet Mimic, Poseidon APT, Firas Dardar, and Operation Pawn Storm. 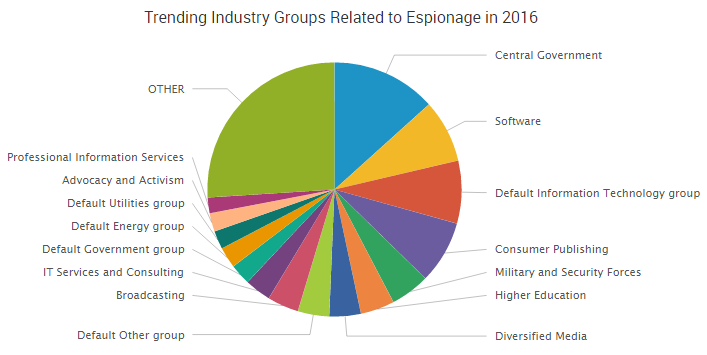 You can see the names of more hacking groups indulged in cyber-espionage below: Apart from the cyber-espionage groups, the security firm has also released the list of entities that become a frequent target of such attacks. As the statistics tell us, hacking groups mainly target government entities, followed by software companies, and IT businesses. Moreover, hacking groups also like to target consumer publishing companies, military and security forces, educational institutions, and media companies.